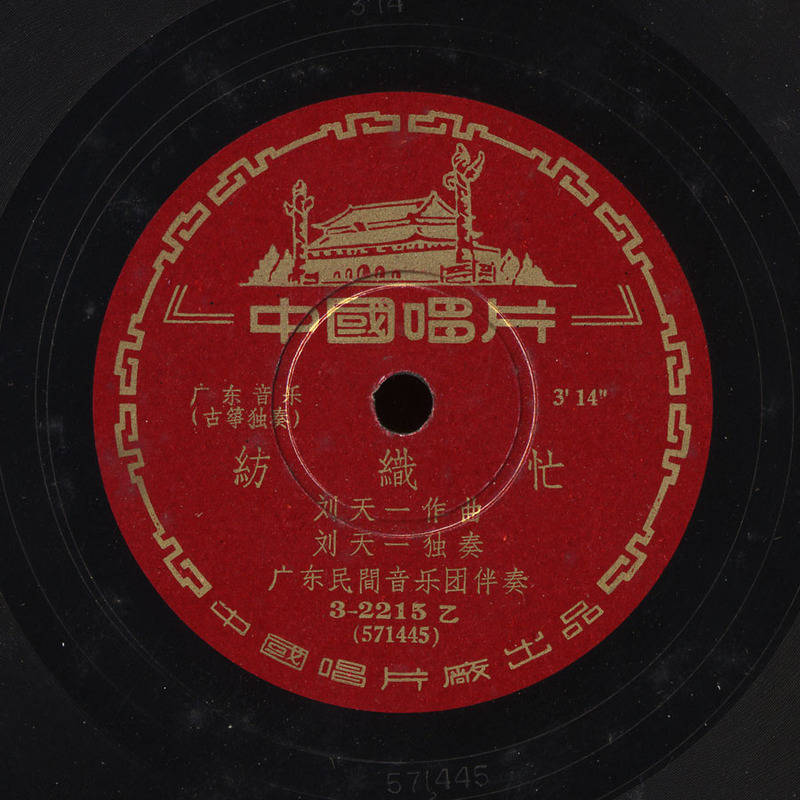 I’m sure, Gentle Reader, that you’ve now realized my method of surveying Chinese Opera is based on a tour of the different record companies in addition to the different styles. 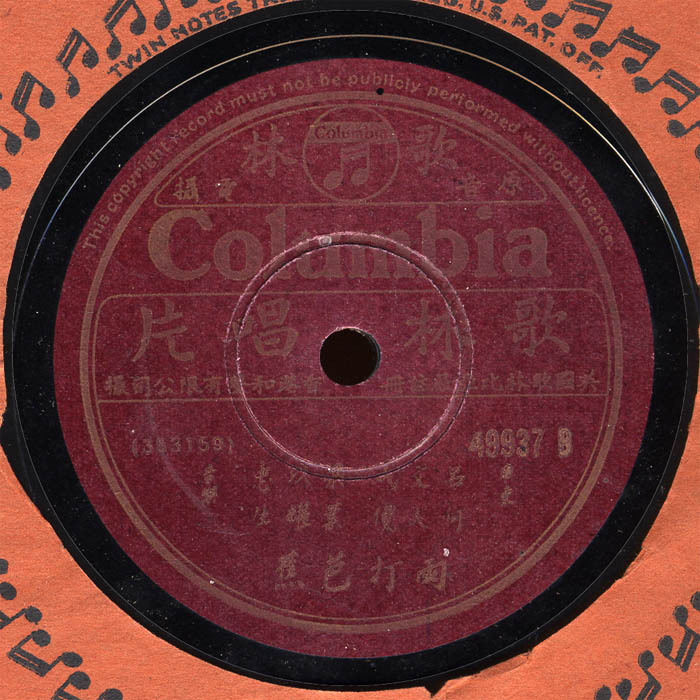 Columbia records was perhaps the most prolific label recording in China, starting just after the turn of the century through the end of the 78 era. 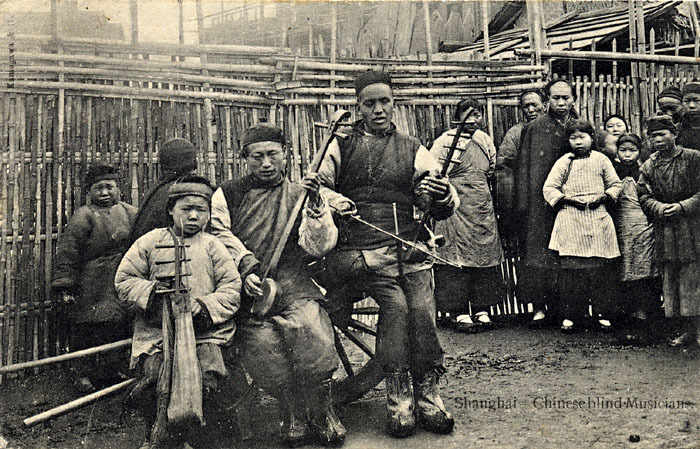 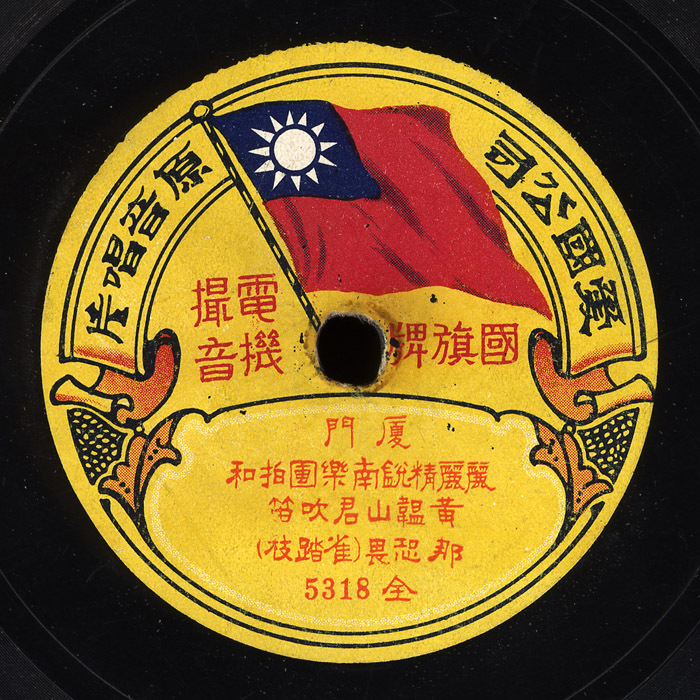 Cantonese, Peiping, Teochew and other types of opera were all recorded by Columbia and many of the later records from the late 30’s and 40’s have a much more “westernized” sound than the music posted on this blog. 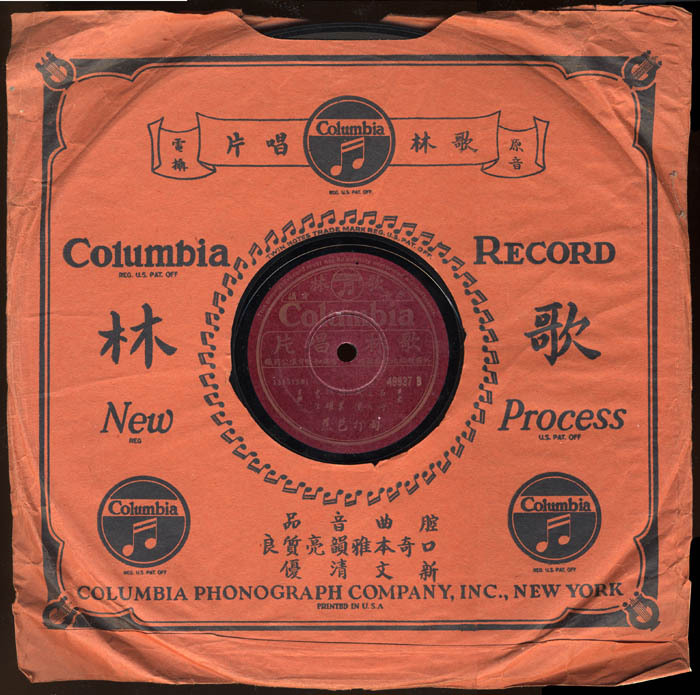 These more modern sounding records are some of my least favorite so I always approach Columbia records with caution! 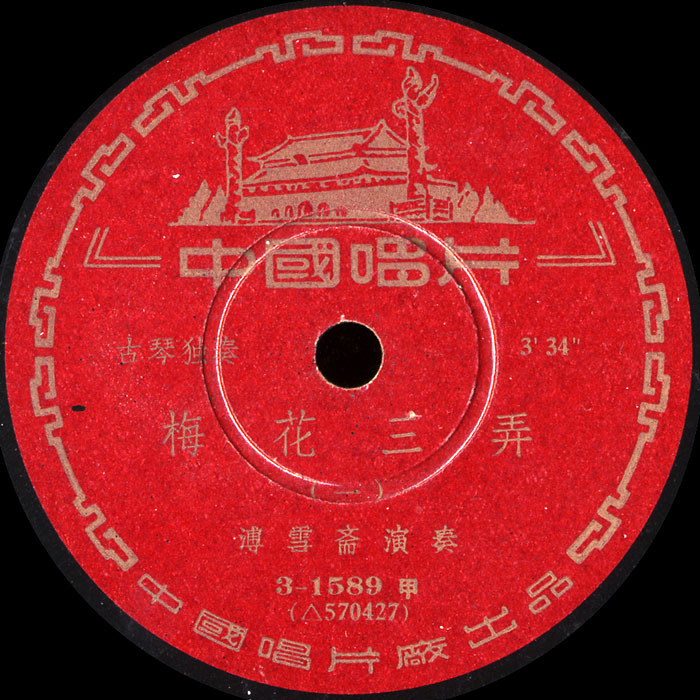 Traditional Chinese Operas often included instrumental sections, either to entertain between acts or fill time during costumes changes, etc. 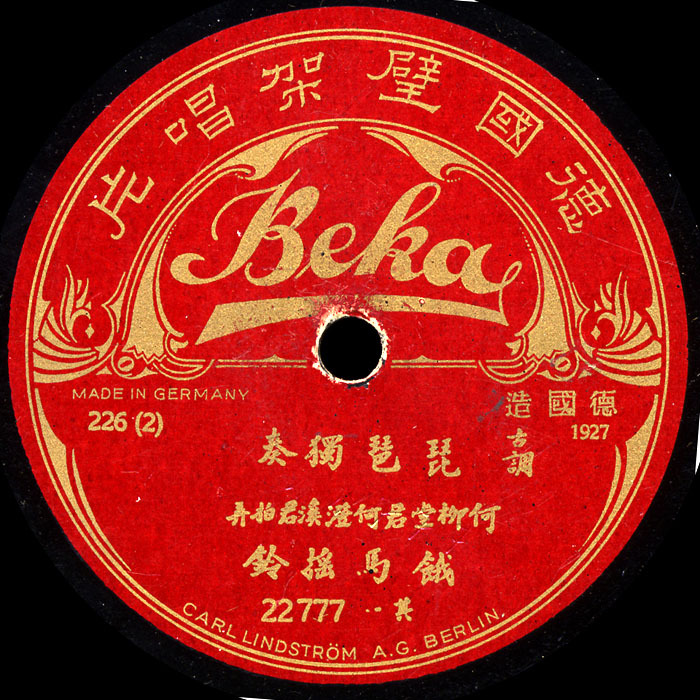 Instrumentals were rarely recorded, presumably because the opera genre is far more oriented toward the vocalists and the music almost seems to be secondary. 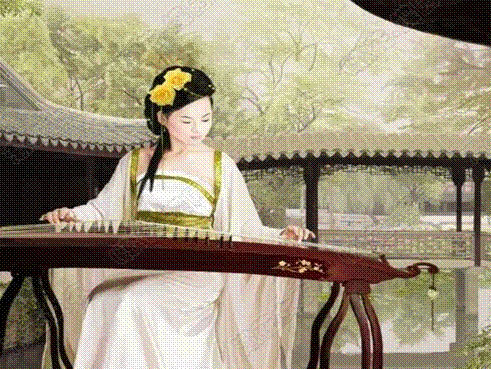 Nonetheless, there is a vibrant offshoot of opera music known as “Silk and Bamboo” (Silk referring to strings and Bamboo to woodwinds). 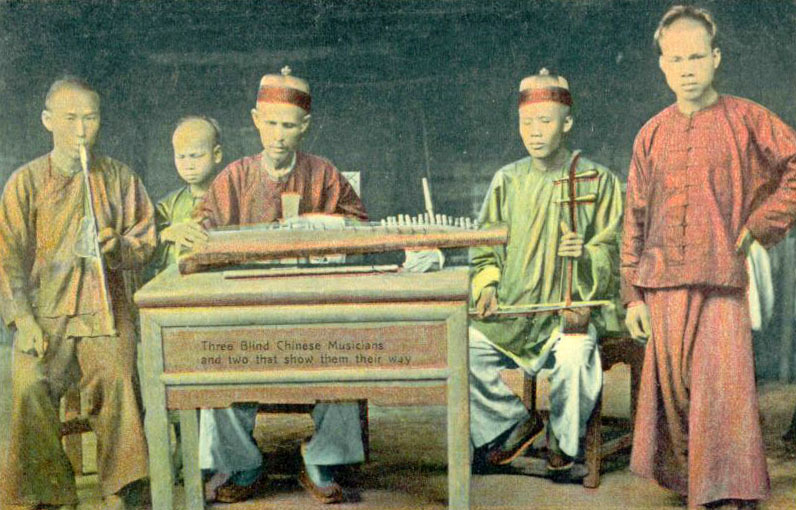 This music is usually instrumental and is played in public by amateurs in an informal setting such as a tea house, not unlike Irish pub music sessions. 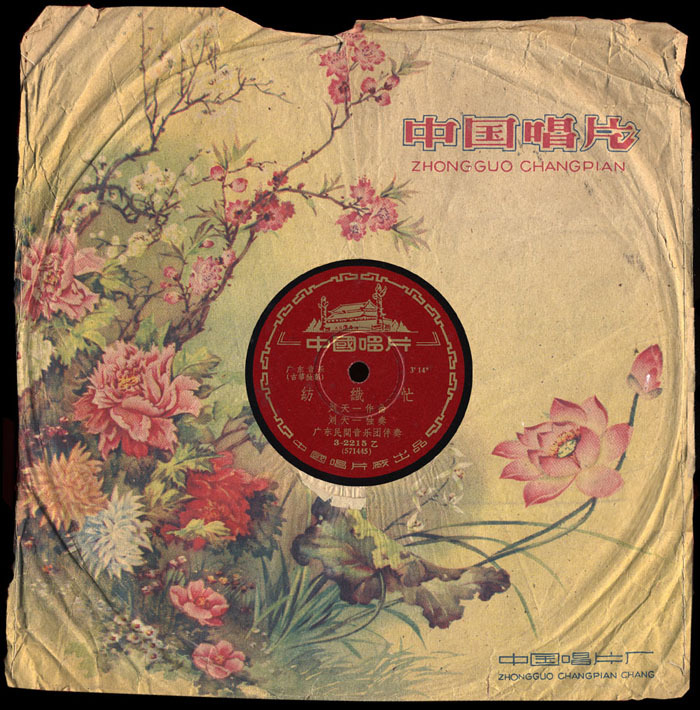 There is still a lively Silk and Bamboo scene today in Shanghai.